Virtual Desktop Infrastructure, or VDI as its commonly referred to, has been around for a few years now. Clearly, it offers a ton of benefits to organizations who embrace it; these benefits range from better security to easier manageability to greater workforce productivity. Why, then, is it that VDI has and continues to be perceived as a complex project to undertake? The answer lies with the solution stack that must be put into place to deliver even the first virtual desktop or virtual application. You see, in typical spaghetti-like fashion, different elements of the solution stack must be sourced, typically from different vendors, and then stitched together. For most organizations, this means spending weeks, even months trying to put a technology stack in place in the hope that when it finally comes together, it works… and when it does, that nothing goes wrong resulting in a troubleshooting nightmare. At Dell EMC, we believe there’s a better way to address this challenge for organizations embarking on (or expanding upon) their VDI journey face. Based on countless customer data points, we delivered a solution to the market in mid last year that broke new ground. Called Dell EMC VDI Complete Solutions, this new approach to procuring, deploying and supporting a VDI stack was revolutionary, and ever since its launch in April 2017, we’ve changed the way organizations think about VDI. VDI Complete was updated for VMworld 2017 based on customer feedback to deliver virtualized applications and graphics acceleration for knowledge users. At Dell Technologies World 2018, I’m proud to announce the latest release of VDI Complete that makes VDI adoption even easier. In this rev, we’ve integrated our most powerful 14G based VxRail appliances and vSAN Ready Nodes, which offer greater user density and the ability to accommodate more graphics cards. There’s also an all-flash version to boot. We’re also enhancing our support for workstation level graphics desktops and applications. 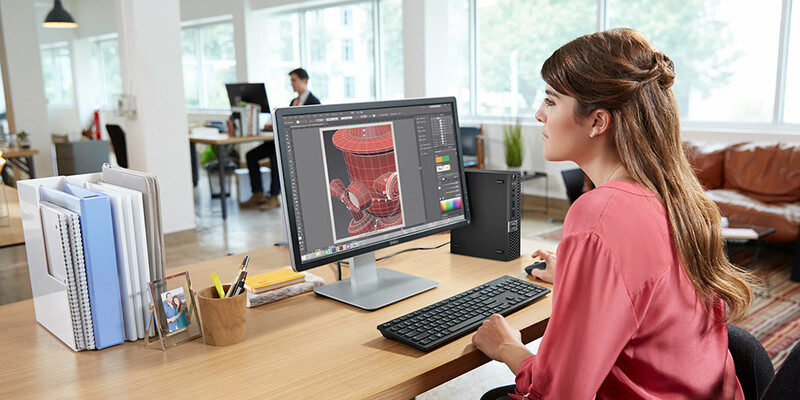 Powered by NVIDIA P40 graphics cards and NVIDIA Quadro Virtual Data Center Workstation (Quadro vDWS) software, power users such as those using CAD/CAM or PLM software can also take advantage of the many benefits of VDI. Last, but not least, we’re also making it even easier for customers to buy VDI through use case driven easy-to-pick bundles. These bundles are optimized and priced attractively on a per-user, per-month basis. The beauty, however, is that these bundles can easily be customized based on your organization’s specific needs. Join us at Dell Technologies World 2018 for more on what VDI Complete Solutions has to offer and the transformative force it can be for your organization. We invite you to join us in the exciting breakout sessions planned and visit us at the VDI Complete booth (#1043). We’ll see you there!